Skeleton Rose Scented Geranium with its bright green, finely cut leaves is, perhaps, the most elegant of all the scented geraniums. 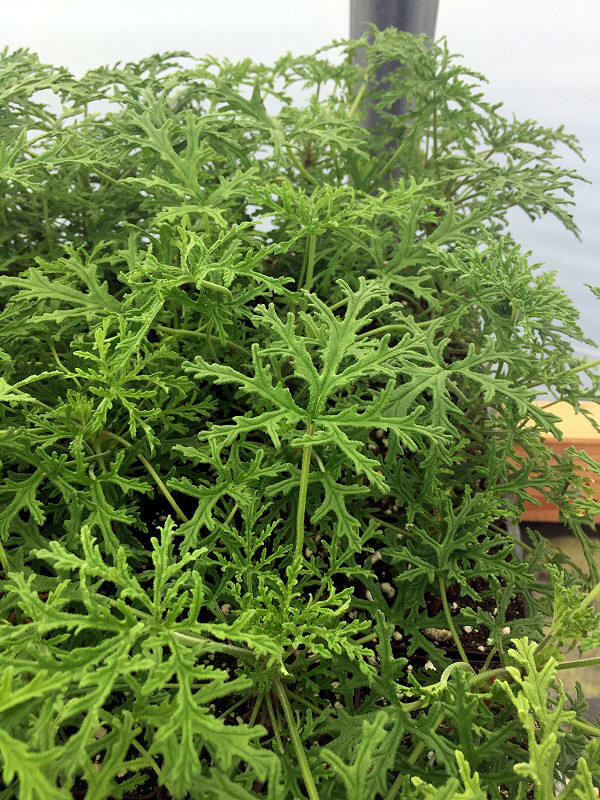 Erect and sturdy yet delicately cut, this Scented Geranium is a great contrast for lower growing gray or gray-green plants, like Catmint. Skeleton Rose can be grown in a container. Try planting one of our three-inch pots in a pot that holds at least 3 gallons of soil. It should live in that pot for several years and make a beautiful and fragrant addition to your patio. Skeleton Rose Scented Geranium makes a great addition to our Zone 8-11 Fragrant Herb Garden Six Pack.